Thanks for the great response to our release party invitation! We are now sold out for June 10th. For notification about future events and news about Okapi wines, please be sure you have signed up to “Stay in Touch” or “Join our Club” at left. Join us for our first ever release party – a casual Sunday afternoon vineyard wine tasting for Okapi Club members and friends. We’ll feature a vertical tasting of four vintages of Okapi Cabernet Sauvignon (2012-2015), and introduce “Dan Rouge,” our new Proprietor’s Blend red wine. This is your chance to try our limited-release Rosé of Cabernet and the latest vintages of Okapi Sauvignon Blanc and Chardonnay too. 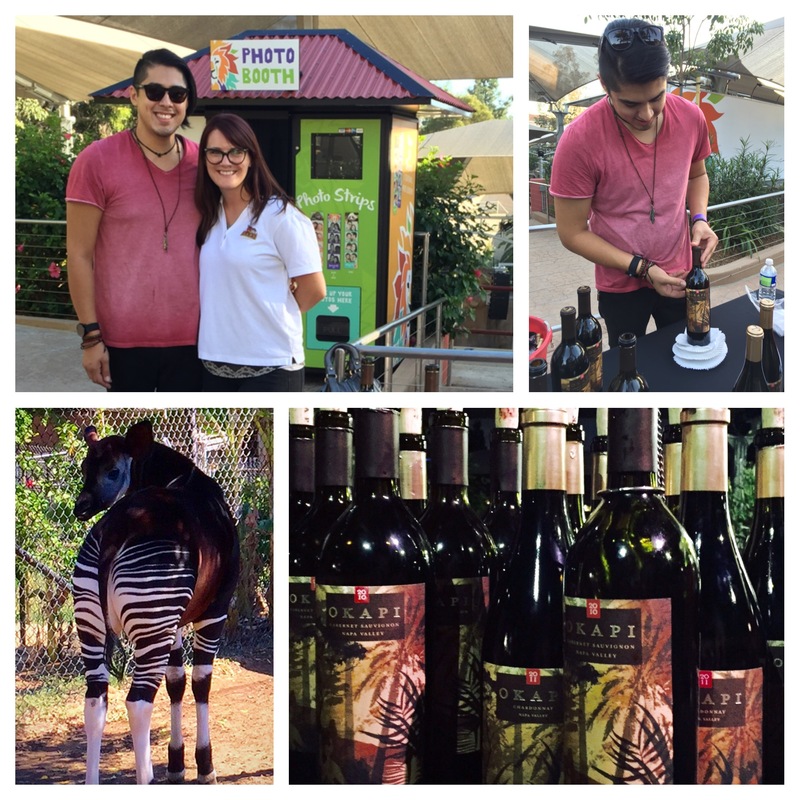 A portion of the proceeds from wine sales that day will benefit the Okapi Conservation Project. Space is limited, so hurry! And, sorry kids, you must be at least 21 years of age. 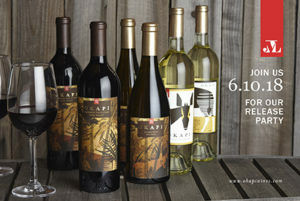 We’ll be pouring a selection of our wines at the Festival Pavilion at Fort Mason in San Francisco February 18th. Details are here: http://winejudging.com/public-tasting. We won a GOLD medal for our Cabernet Sauvignon in the competition, so we will be introducing the Okapi label to hundreds of people who haven’t heard of us before this wonderful acknowledgement. Come join us to be among the first to try our newest release! And in 2016 we had the honor of of supporting some of the people who support wildlife conservation. 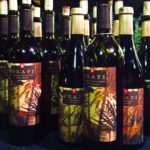 We provided Okapi wines for the International Giraffid Conference 2016, which was hosted by the Chicago Zoological Society. It brought together zoo managers, keepers, veterinarians and field biologists from around the world who are invested in the success of giraffe and okapi in facilities and in the wild. Yes, we thought those good people deserved to drink fine wine in between their sessions. Look for some photos in our new “Friends” gallery at the left. We will be pouring Okapi at two outstanding Bay Area venues this month! Join us Tuesday, February 16 at 1300 on Fillmore for the third annual “Sips with Soul,” a wonderful tasting event showcasing African American vintners. Click here for more information and to reserve your tickets: http://tinyurl.com/SipswSoul. On Monday, February 22nd, come to Picán restaurant in Oakland for a winemaker’s dinner featuring our new 2012 releases the Okapi Cabernet Sauvignon and Okapi Chardonnay. Chef Jerome Fressinier has planned an unforgettable menu for this exclusive event. Join us: http://tinyurl.com/OkapiPican. Space is limited at both special events, so make your plans right away! 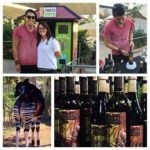 Okapi Wines set up shop near the komodo dragon to toast the wildlife conservation efforts of the San Diego Zoo and Safari Park. Hundreds of zoo supporters strolled the park during the Food Wine & Brew Celebration, and found Okapi to be the only winemaker to travel from Napa Valley for the occasion. We made lots of new friends. Thanks to the terrific help and hospitality from Shayla Valle and Nestor Araiza. And special appreciation to Okapi’s home in San Diego, The Wine Pub in Point Loma, who made Okapi the Wine of the Month in October!!! 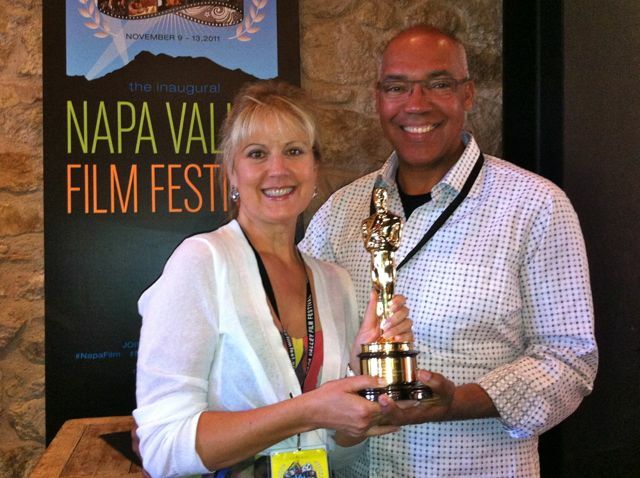 Make your plans now to join us in Napa right after the 2014 harvest for the fourth annual Napa Valley Film Festival. 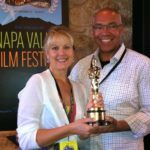 We will celebrate five amazing days of film, food and wine, up and down the Valley. The first three couples to join us as Patrons of the festival will receive a free bottle of Okapi when they arrive to walk the red carpet!